Most current operating rooms were designed with open surgery needs in mind. 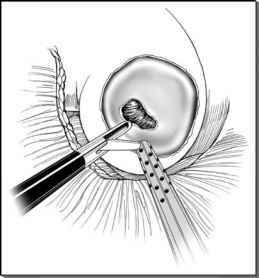 As endourology and laparoscopy have gained favor, adjustments were made to accommodate advanced imaging techniques and additional minimally invasive technology. 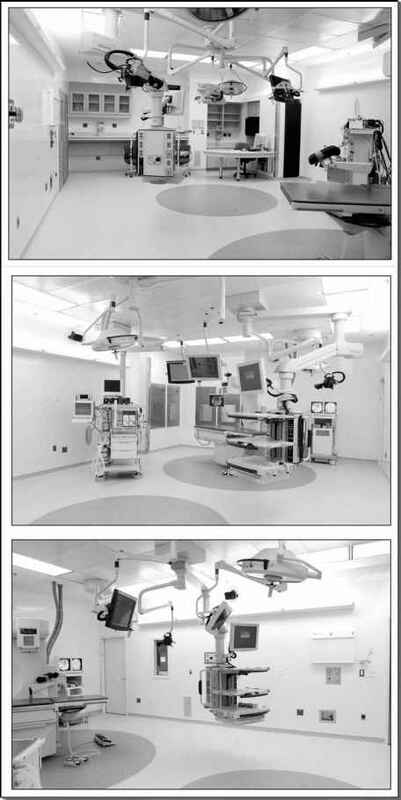 More recent operating room designs address the fundamental differences between open and laparo-scopic surgery. Thus, specialized rooms were developed to be much more conducive to the consistent, trouble-free performance of laparoscopic and endourologic procedures. The development of endoscopic carts containing video monitors, cameras, video recording equipment, insufflation devices, and carbon dioxide tanks facilitated laparoscopy. As mobile units, these carts may be transported from room to room, allowing for laparoscopic capabilities in rooms otherwise designed for open surgery. The quality of the component parts of these systems can be variable and subject to limitations introduced by any of the individual parts. In addition, the mobility of these complex systems introduces further potential for malfunction or inconsistent performance. The potential for carbon dioxide, and therefore surgical exposure, running out during key portions of procedures is another disadvantage of these systems. Another issue relating to suboptimal operating room design is the effect of imperfect ergonomics on surgeon comfort from a musculoskeletal standpoint. Several studies have identified significant stressors to the surgeon induced by laparoscopy, including monitor placement, camera holding, trocar placement, and table position and height (63-66). Ceiling-mounted monitors and designs focused on the laparoscopic surgeon represent operating room updates, increasing versatility in the ergonomics surrounding laparoscopy (Fig. 8). Carbon dioxide delivered to the room constantly through a wall connector obviates the problem of tank turnover at vital points during procedures. Whether or not these specially designed operating rooms improve upon musculoskeletal complications in surgeons remains to be determined, even if some studies showed encouraging results in this regards and improved overall operating room efficiency (67,68). Robotics can take the form of either automating some portion of the operation or assisting during the entire operation. Automating the act of camera holding has been shown to be advantageous in terms of ergonomics and procedural efficiency. (69-71) The procedural advantages of robotic assistance to the surgeon are becoming more apparent as robotic surgery further penetrates the operating room. These advantages include three-dimensional stereoscopic vision totally controlled by the operating surgeon, increased instrument range of motion, and markedly improved comfort for both the surgeon and assistants. Immature published data show a potential translation of technical advantages into improved patient outcomes. Head-mounted display may represent an advance providing ergonomic advantages to the surgeon (Fig. 7). The introduction of three-dimensional vision available to the laparoscopic surgeon may bridge the gap between robotic and laparoscopic surgery. However, results regarding the true advantages of such technology are still conflicting (72,73). The development of laparoscopic instruments with endowrist capabilities further bridging the gap between robotics and pure laparoscopy may be anticipated in the near future. FIGURE8 ■ Current (future) endoscopic/laparoscopic operating room. Ceiling-mounted flat panel monitors. Built-in endoscopy table with adequate room for laparoscopic applications. Ceiling-mounted camera for external footage. Touch panel control allowing for routing of different source images on different monitors. Wall plug in for C-arm integration with room monitors. Wall panel-integrating operating room with audiovisual center allowing for video capture, integration with conference rooms, and teleconferencing. A central concern in the operating room of the future will continue to be the adequate training necessary to surgeons to safely perform laparoscopy. Video conferencing technology has still several limitations, thereby leaving room for further improvements. As this technology becomes more reliable, remote surgical mentorship will become more feasible. Although scant studies addressed the feasibility of such a concept, the progressive growth of remote laparoscopic training accompanying technology improvements seems reasonable. The reduction of patients morbidity associated with minimally invasive procedures will continue to drive improvements of endoscopic technology. Tremendous progress, especially in the realm of optics and digital image processing, has occurred in the past decade. It is also clear that over the next few years, high-definition digital processing and high-definition television monitor technology will almost certainly provide even further enhancements. The field of ergonomics and surgeon comfort has also recently become a focus as data accrues regarding musculoskeletal complications in surgeons. The future will certainly see the continued development of operating rooms equipped with instrumentation providing advantages to both surgeon and patient. Undoubtedly, these advantages will include further improvements in digital imaging technologies, more streamlined room design, and ergonomic optimization.